High-quality two-way radios provide superior sound quality and ease of use. Our radios can also feature channel labeling and trunking abilities. We also have repeaters to help boost transmission signal and earpiece/headset accessories in case you find yourself in loud areas. 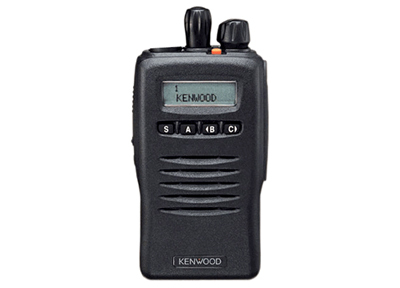 Kenwood TK 3160 two-way radios provide 4 watts of power and programmable UHF frequencies. It is one of the smallest high-quality radios on the market today weighing in at 12.5 oz (dimensions - 2.2 x 4.3 x 1.3). Each TK 3160 rental includes an antenna, belt clip and charger unit. 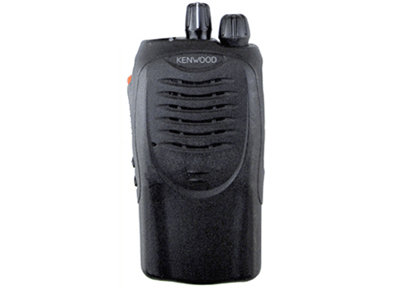 Kenwood TK 3140 two-way radios feature an LCD display with up to 250 programmable channels set to your frequencies or ours. The radio also has trunking capabilities. The TK 3140 weighs 12.5 oz (dimensions - 2.2 x 4.3 x 1.3) and includes an antenna, belt clip and charger unit with each rental. 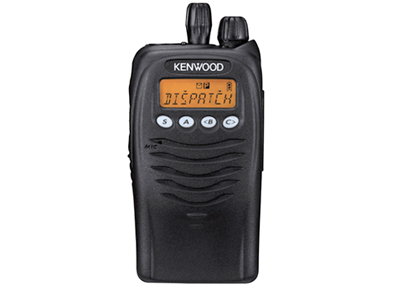 Kenwood TK 3170/3173 two-way radios feature an LCD screen that tells you what channel you are on, much like the TK 3140. These channels can be programmed with any name you would like. The radio also has trunking capabilities. The TK 3170/3173 weighs 12.5 oz (dimensions - 2.2 x 4.3 x 1.3) and includes an antenna, belt clip and charger unit with each rental.